Discover Water is a website developed by Project Water Education for Teachers. "Project WET’s mission is to reach children, parents, teachers and community members of the world with water education that promotes awareness of water and empowers community action to solve complex water issues." 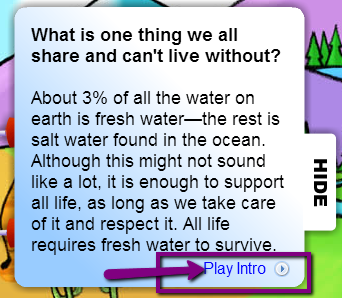 Discover Water provides information about the Earth's water in a fun and informative way by combining text with games, quizzes, activities and videos. 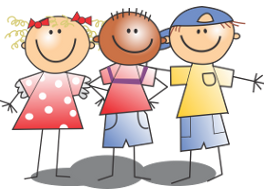 This would be a great website for grades two to six. Some of the content is advanced for grade twos and threes, but many of the information sections have an option to have the text read to the viewer. This website is great for science research. This could easily be used as a centre for reading or for science. I had my students do a semi-guided research activity. I provided them with a jot notes form that had some guiding questions. Students were allowed to work independently or with another partner. It took two science lessons. Students will need to know how to get to websites (I had it linked from my class website). They will need to know how to manage the volume to not disrupt others (we use head phones). 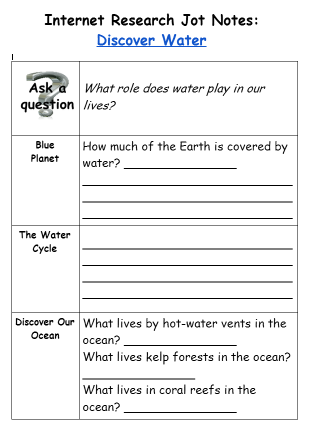 Students may get overly focussed on the games/activities on the site versus learning about water. Monitoring student work as they use the website should remedy that.